Buenos Aires is tango. Tango is present on every step, one sees people dancing it on the streets, hears the music out of radio, souvenirs with screaming tango names are sold everywhere – to an extent that even for a tango addict like myself it sometimes gets too commercial – and every evening several milongas (so called evenings where tango is danced) are held throughout the city. 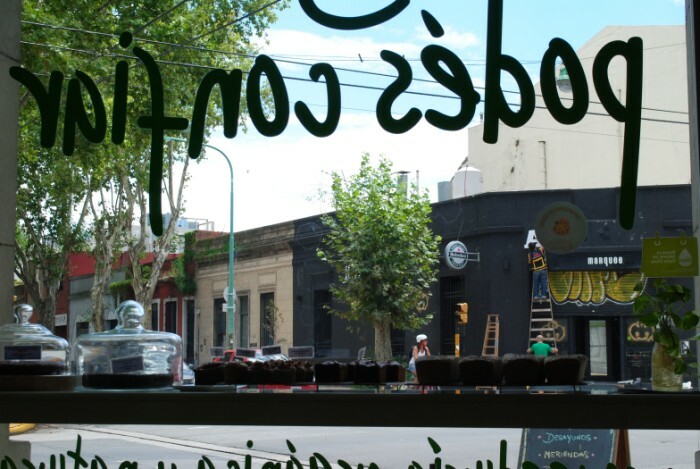 Buenos Aires is also old buildings, streets with little shops, nostalgic cafés and bookshops, magnificent architecture, parks filled with people, colors and smells of south, friendly and open people, and warm and positive atmosphere. 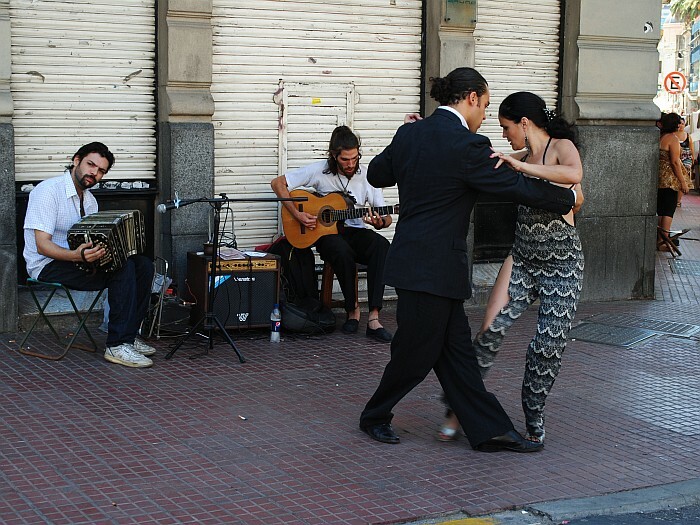 As a tango dancer, the wish to visit Buenos Aires was growing in me for a long time. I visited it in January. I flew down to the south and to the summer from wintery and snowy Europe. At the airport a Slovenian guy was waiting for me. Argentina is hosting one of the biggest communities of Slovenian immigrants in the world; most of them flew there after the Second World War. I was happy to receive a warm welcome in my mother tongue. Nearly one hour drive from the airport to the place where I was staying was filled with tips and tricks on how to survive in the city. One of the first advices I got is not to walk around alone at night. And not to take the collectivo (the public bus) at night. The second one was not to walk around the city with big photo cameras around the neck. There are a lot of stories circling around about kidnappings, rapes, thefts etc. I might have just been very lucky, but nothing like that happened to me. I was only meeting nice and friendly people and made good friends. People of Buenos Aires are called porteños. This literally means “people of the port”. They are warm and open so expect to end up in conversations during your bus ride or while you are waiting at the bus station, in shops or even when you’re sitting on a park bench reading a book. Some knowledge of Spanish is useful since not everyone, especially older people, speaks English. In this city you will definitely feel accepted get to know people more easily. 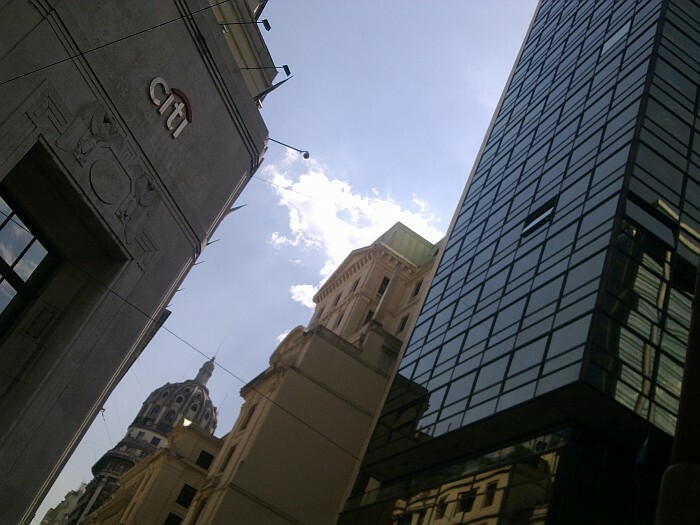 Renting out private room is the best option if you stay in Buenos Aires for a longer period. It is also the cheapest one. 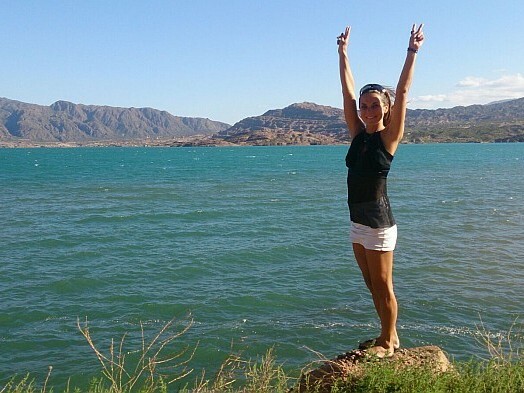 Besides that you will get in touch with locals and other foreigners that live there and make friends. If you are a tango dancer, another possibility is to go to a tango B&B. These places are usually very vivid and you can make friends easily. I was renting a room from a tango friend who owns a house in Almagro area. I was sharing the place with two Colombians, two Swiss girls and a Polish-American couple. It turned out to be a great choice since I was spending my days with locals who showed me around in a different manner than Lonely Planet would do. 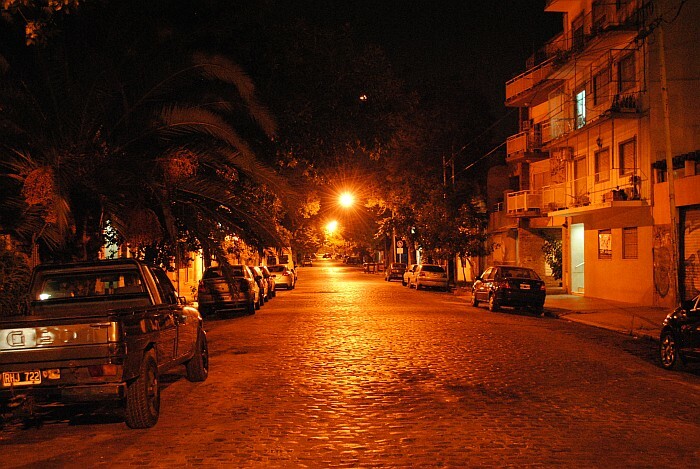 Buenos Aires is a metropolitan composed of 48 barrios or neighborhoods, each so different from another that it could almost be a separate city within one big one. Walking around this huge city will make you (rather) exhausted. On the other hand public transport can be hectic and packed. So in my opinion a very nice alternative to explore the city are bicycles. There are several companies located in the city that offer bike tours as well as rent out bicycles privately. This is hectic and over-crowded neighborhood with high, modern buildings, businessmen running around in suits, masses of people shopping… If you’re comfortable with all this, you can have a walk down the famous pedestrian shopping street Florida and eventually bump into one of the must-see tourist points, Plaza de Mayo with Casa Rosada, salmon-like, light pink colored president palace, where politicians (among which also famous Juan and Eva Perón) spoke to the public. 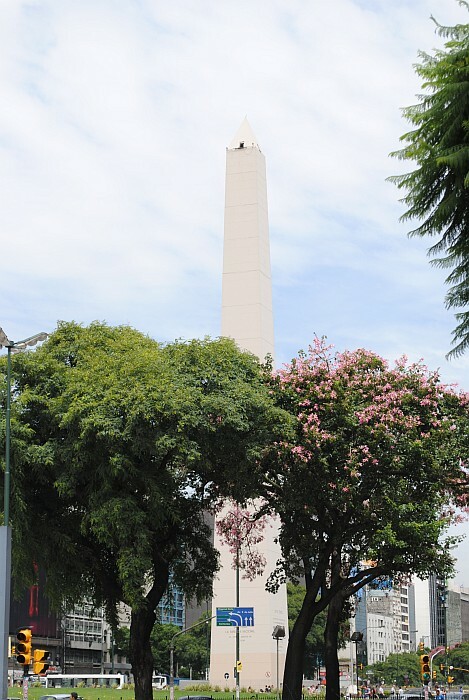 If you turn back from the Plaza and continue along the Diagonal Norte you will soon reach the intersection of Corrientes street and Avenida 9 de Julio where stands the most famous monument of Buenos Aires – the Obelisco. It is worth seeing in live, however due to its size you can definitely have a much nicer view of it from postcards, not to mention trying to capture it on a photo in its entirety yourself. 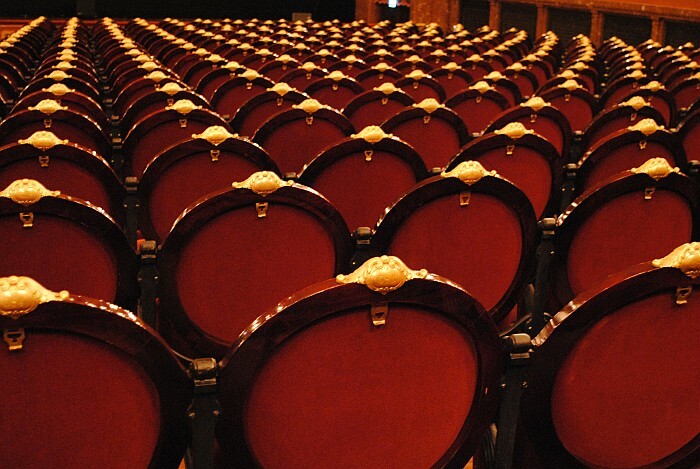 Not far away stands the Theatro Colón, a noble indicator of the golden age of the city. The main hall in red-gold color is just unforgettable. On the contrary, the newest of the barrios and definitely the greenest one will attract nature lovers. Strolling around that area one quickly loses the impression of being in Buenos Aires. It is extremely spacious and clean with water canals all around but also very fancy, modern and expensive. Bars and restaurants are located on the waterside and museum lovers can enjoy the collections in Fortabat Art Collection. I was lucky to see an amazing photographic exhibition on display when I was there– photographs of the city of Buenos Aires by various Argentinian photographers. 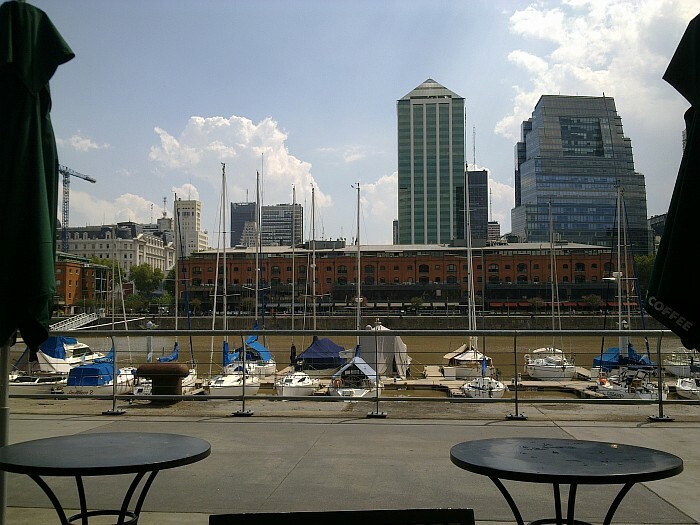 From Puerto Madero you can easily reach the ecological reserve (Reserva Ecológica Costanera Sur) with a large green surface and a network of walking and cycling pads. 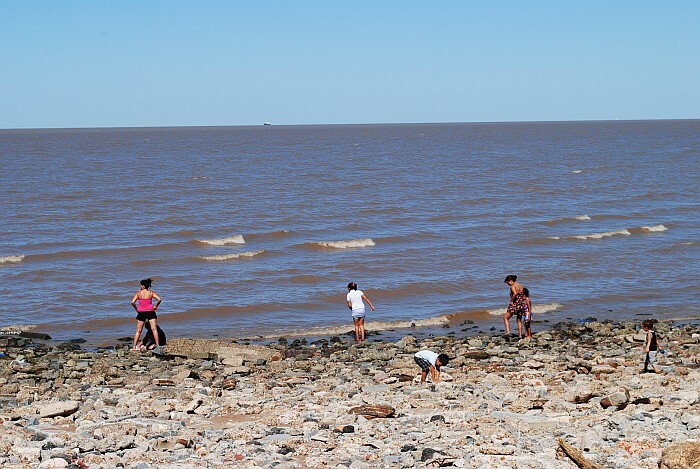 At the very end of the park there is the riverside of Rio de la Plata. For us Europeans, this river actually looks like an ocean (and I have to admit that with its brownish water despite the summer temperatures, which can reach up to 40 degrees, it is not very appealing for bathing). In nice weather you can see Uruguay across. 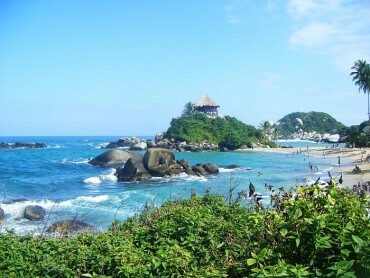 However, if you want to enjoy the nature alone, I suggest you go there during the week as on weekends it is packed with porteños enjoying the light breeze and fresh air. 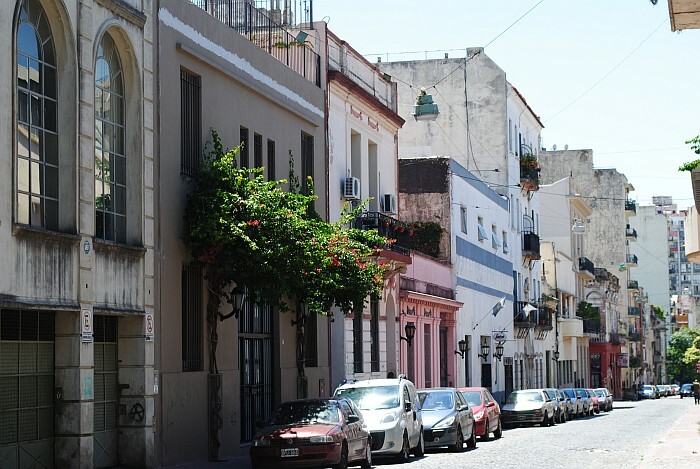 San Telmo is an old upper class neighborhood with old colonial buildings. It is the place where tango was danced in golden ages. 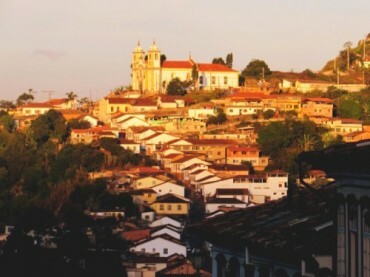 However, during the yellow fever epidemics the rich moved up in the barrio now called Recoletta and the area was inhabited by the poorer. Therefore not much of glitter remained in the area; it would be best described as slightly decayed but with authentic atmosphere. An interesting place to see is San Telmo Market, where you can find everything from vegetables to antiques. Its special construction and unique atmosphere will not leave you disappointed. However, if you want to avoid rivers of tourists and shops with tango souvenirs, I suggest you leave behind the main streets and explore the calmer areas of the neighborhood, where you can find cozy old cafés and old bookstores, where you can have interesting chats with their (mostly as old as the neighborhood itself) owners. 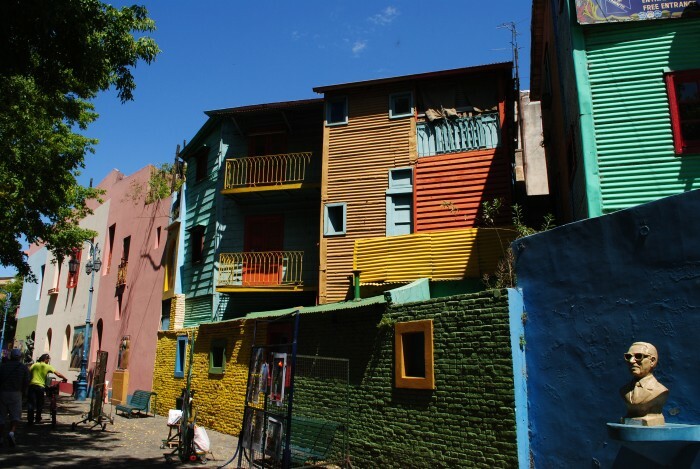 Leaving San Telmo and heading south you will reach La Boca, known as the oldest barrio of Buenos Aires. 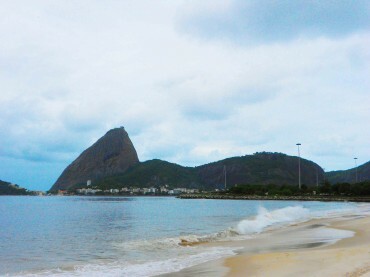 Its name literally means “the mouth” because of the harbor formed by the river. This part of the city was the entry point of immigrants and a birth place of tango (the story tells that due to the large male population tango was initially danced between men only) and as such historically very important for the city. Today it is very vivid and colorful but made so only for tourists. I personally think it is ugly and unbearable because of all the tourist shops, restaurants and couples trying to drag you to take a photo with them in a tango pose (and so do nearly all the tourists) but still it’s worth at least one visit. The main street running through the neighborhood is called Caminito (in translation “a small path”) and the area around it is supposed to be the only safe area to walk around. Larger surroundings are reputed as dangerous due to the poor population. 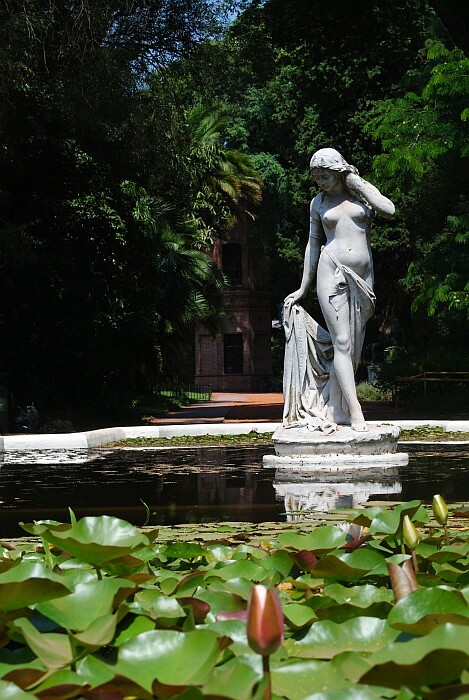 Located on the northern part of the city, Palermo is stylish, hippie, colorful and artistic middle class neighborhood. Besides, it is the greenest one in the city. 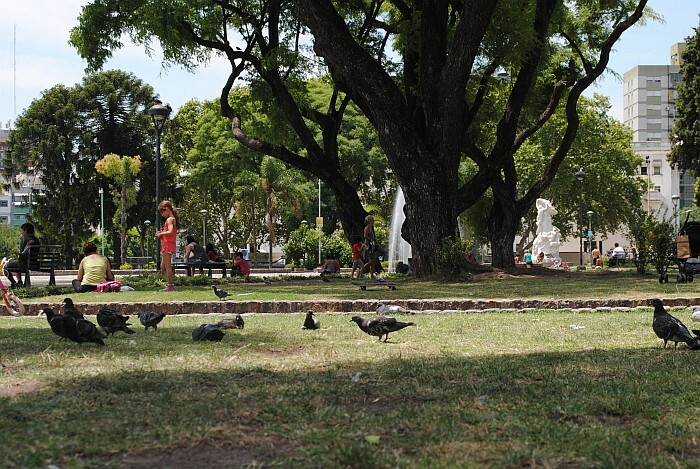 Trees and palms that surround the streets give it a very nice and refreshing atmosphere, while larger parks like Parque 3 de Febrero and Botanical gardens offer a place where one can cool down from the noisy downtown. In Palermo it is impossible to be bored. You can get lost in diverse shops and bookstores or bars and restaurants for all tastes. Not to mention the rich nightlife this neighborhood is offering. You can not only choose from several milongas but also visit nightclubs, jazz clubs or even pop up at a smaller private concert held in one of the bars. Like Gotan Project sings Astor Piazzolla’s Vuelvo al sur, so did I tell myself, when the plane was taking off and I had a magnificent view of the whole Rio de la Plata bay, that I will return. When I started dancing tango 11 years ago I was told that one either loves or hates this city. I definitely love it. As for you, the best way to find out the answer is to visit it.